Voting for this special General Conference has been completed! The Clerk of the Special General Conference is pleased to announce the results of the affirmation voting for the position of Elder for Reverend Hector Gutierrez and Reverend Dr. Mona West. As we look to the demands of the present and future mission of MCC, as a church that follows Jesus Christ in the 21st Century, we continue to need people of outstanding record and qualifications to serve at the highest levels of global leadership in our denomination/movement. At this juncture, the Moderator has invited Rev. Dr. Mona West and Rev. Héctor Gutiérrez to step into the role of Elder in MCC to help lead us into our future. Both of them have accepted that invitation, prayerfully, and now it is time for those appointments to be approved and affirmed. What do the MCC By-laws say is the role of Elders? How are Elders in MCC authorized? What do Elders do today in MCC? 1) As members of the Council of Elders, Elders have an ecclesial role: they oversee the affiliation of churches; and they have authority over the Clergy Manual and protocols for authorizing MCC clergy. Elders then are key to setting standards and boundaries, based on the by-laws, by which churches and clergy are represented at General Conference. Elders also oversee the appointment of Network leaders and relate to churches through the Network system. 2) Elders have a spiritual/pastoral and teaching role in the Church: Elders are called upon to develop leadership programs, teach at summits, preach at MCC conferences, church anniversaries, and support MCC in terms of increasing church strength and health; and in strategically supporting new church starts and emerging ministries. They are looked to as spiritual and pastoral leaders by the pastors, lay leaders and people of MCC. They may also be asked by the Moderator to represent and to speak for the denomination publicly. What do Elders “mean” to the people of MCC? Elders are gifted individuals who are highly esteemed, respected and who are looked to for wisdom, for embodying and articulating with passion the values, vision, mission, and faith that MCC holds dear. We expect Elders to challenge us, to offer spiritual, pastoral and organizational leadership. They are also a symbol of the unity-in-diversity of MCC. As the Council of Elders, they form a kind of “collegium” of support for the Moderator. Elders also embody the continuity of the founding narrative of MCC connecting generations of servant leadership. Both Dr. West and Rev. Gutiérrez already serve on staff in senior positions. There may be additional travel expenses, which can be comfortably managed within our present budget. This will be the first time the Moderator will exercise her authority to appoint Elders, which must be approved by the Governing Board and affirmed by the General Conference (see above). Rev. West has served on the Senior Leadership Team for several years and has been an outstanding Director of the Office of Formation and Leadership Development. She is a person of integrity and spiritually maturity and outstanding in her qualifications for her role as Elder. Under her leadership, the clergy credentialing process runs extremely well, and our clergy and lay leadership program offerings have multiplied in quantity and quality. She has expanded our OFLD staff and now also oversees the Judiciary process. She balances leadership and management well in her role on our Senior Leadership Team. As the person most responsible for authorizing and supporting the clergy of MCC, she has brought professionalism and grace to that role. In addition, her passion for lay ministry has broken through barriers, especially with the creation of LEAD. Dr. West brings a deep commitment to pastoral ministry, a vocation for deepening the spiritual lives of leaders in MCC. She is a sought after preacher and teacher, not only in MCC, but also at many of our partner seminaries. She is a mentor, spiritual director and pastor to pastors and lay leaders. She is not only respected within MCC but is highly regarded in the LGBT and religious world, as a scholar and academic, and as a teacher and writer. It is an honor to appoint Rev. Dr. Mona West to the office of Elder in MCC and to the Council of Elders. Dr. West will continue her ministry as Director of OFLD and will not take on any additional roles, such as with a Network. Her ecclesial role will primarily be to continue to authorize and nurture the clergy house of General Conference. We do expect that she will continue to be asked to preach and teach and be available to the people of MCC as an Elder, as time permits. Rev. Héctor Gutiérrez has served MCC as clergy for many years and has been the “right arm” of Rev. 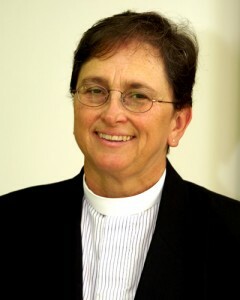 Elder Darlene Garner, who has been his mentor. Rev. Gutiérrez is a person of integrity and spiritual maturity and is outstanding in his qualifications for the role of Elder. His pastoral experience and his education and training are a great addition to our leadership. For many years, he has essentially been the “Elder” of a growing MCC in Latin America, which is the most exciting growth story of the last 6 or 7 years. Rev. Gutiérrez oversees 49 churches and emerging groups and has recently been appointed the Associate Director of the Office of Emerging Ministries. Rev. Gutiérrez manages MCC churches in all of Latin America, in the Spanish Caribbean, and in Spain. He oversees their Network and works virtually with churches in Spanish and Portuguese. He authorizes new churches and oversees affiliation in Latin America, as well as oversees the Latin American clergy protocol. Rev. Gutiérrez is one of the founders and the director of the Garner Latin American Training Institute that trains MCC clergy and lay leaders. He also serves as staff to the International Task Force and works with our Hispanic North America Emerging Churches Team. It is an honor to appoint Rev. Héctor Gutiérrez to the office of Elder in MCC and to the Council of Elders. Rev. Gutiérrez will continue to do the work he has been doing for some time, building an expanded infrastructure for MCC in Latin America going forward. Rev. Gutiérrez, as Dr. West, will be an Elder for all of MCC and may also be invited to preach and teach in various settings around the globe, as time permits. Voting to affirm candidates via this Special General Conference will begin on March 28, 2012. Check back here for official information on how to vote. Learn more about MCC's guiding Core Values for ministry. If you have questions or concerns, please contact [email protected].